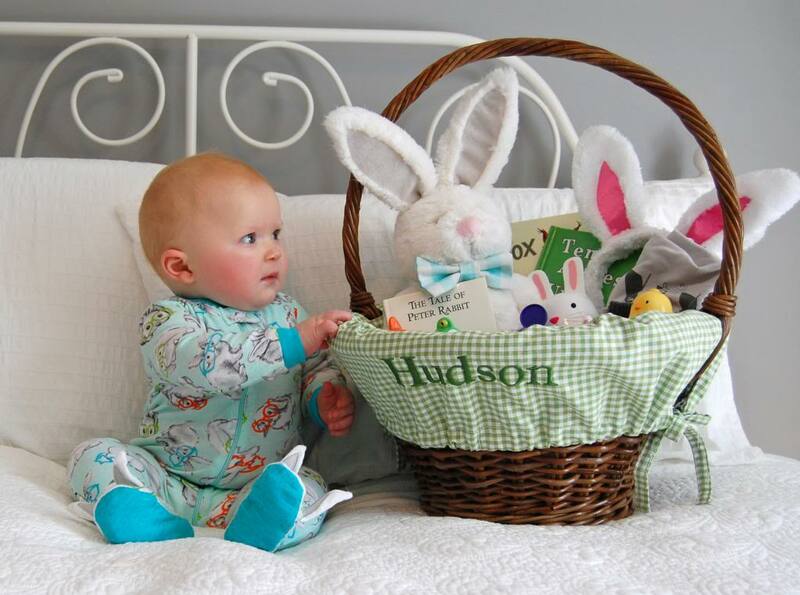 Today I’m linking up with Stephanie and Katie for Saw it, Pinned it, Did it and showing off Hudson’s first Easter basket! I had way too much fun putting this together. I’ve been working on it for a while and also pinned Emily’s basket ideas to use as an inspiration. Needless to say my planning paid off…Hudson loved the “sneak peak” of his basket! 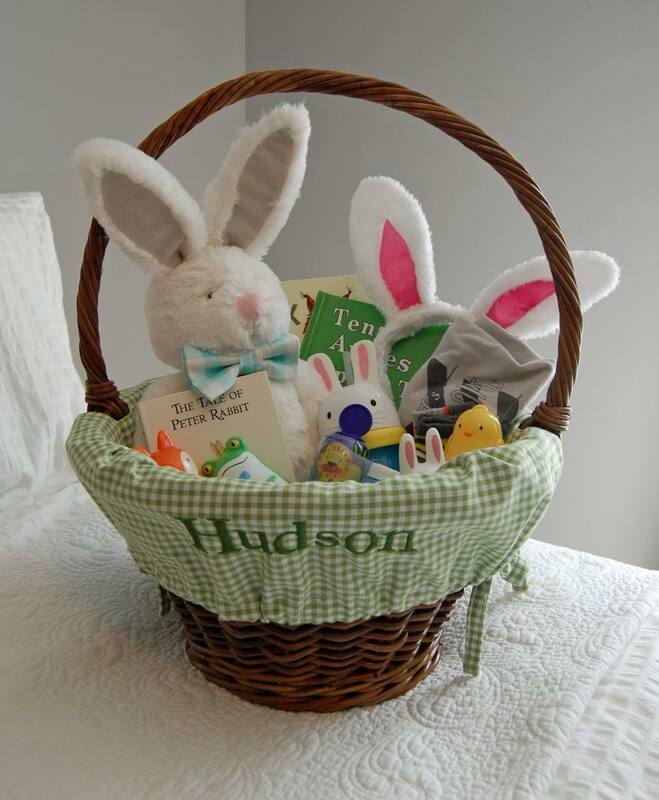 My mom gifted Hudson with this basket from Pottery Barn Kids. He will put it to good use year after year! Cute animal eggs from Target. Love them! 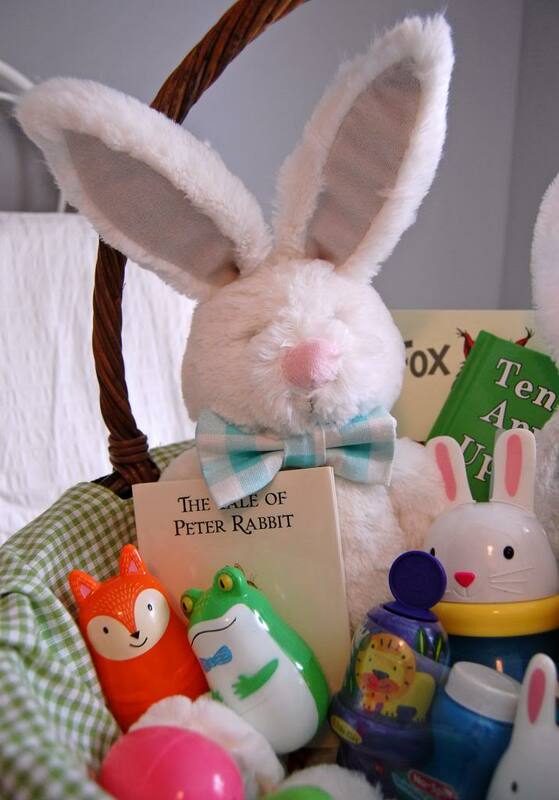 I got this bunny when I was pregnant with Hudson and saved it knowing it would be perfect for his first Easter. I added a bow tie from the dollar spot at Target. And yes…the basket is bigger than he is! He will thank me one day when it’s time to hunt eggs! Make sure you check out the other projects! So cute! I bet he LOVES IT! The Easter bunny did goooood. that Easter basket is perfection. 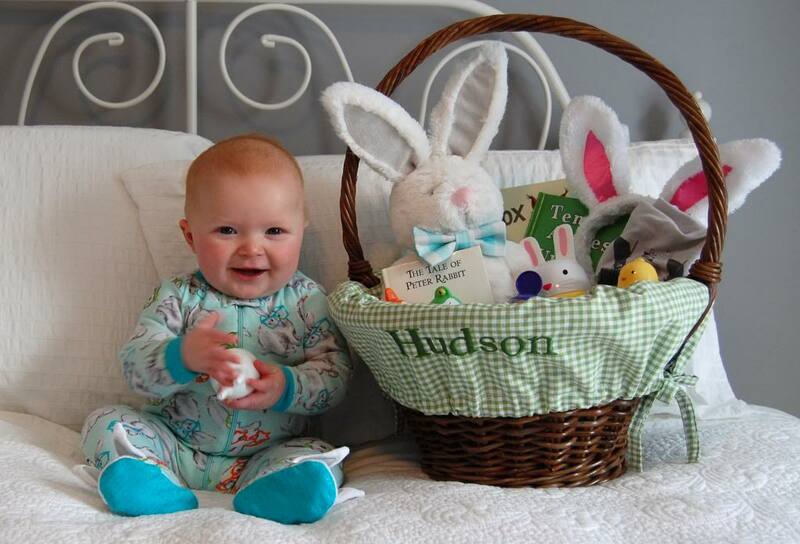 The Easter bunny did a very nice job 😉 AND I can't get over how precious Hudson is! That is so cute, LOVE the basket! I really need to start thinking about Kenley's basket (now that Easter is 4 days away). Sooo cute! I love his cheeky smile! 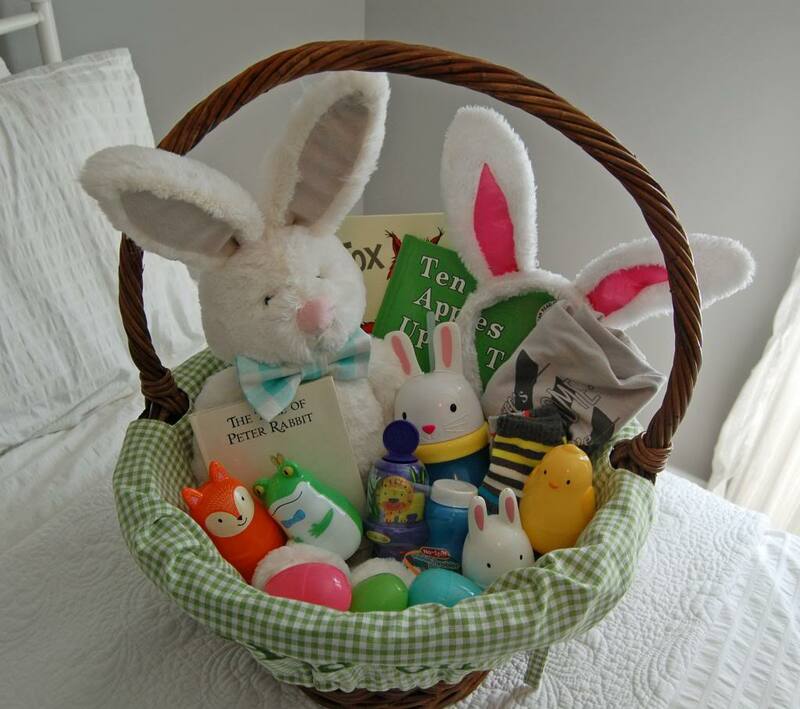 & awesome ideas for a baby Easter basket! 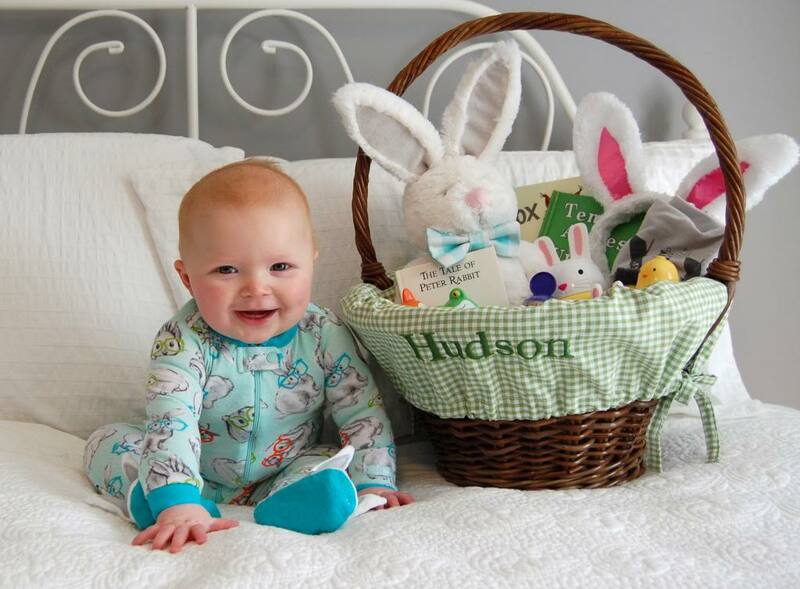 Hope Hudson has fun on his first Easter!!! What an adorable baby you have, and such a cute basket, it's so fitting for his age, way to go!!! This is so cute! I love the basket. I think I love that the basket is bigger than him even more 🙂 He is such a doll! OMG! Dying over how cute everything in this post is! Seriously! Adorable! This basket is adorable…I ordered the pink gingham one last week for my 4 month old 🙂 I can't wait to get it! Super cute gifts too…I'm so lame, I haven't done ANYTHING for Easter for M yet! So sweet! I'm excited for you guys to have your first Easter together! He's a lucky little dude to get all those fun treats! Um his face!! Love! I have to do this for Lemon, I better get on it! Oh my goodness, could that little sweetie be any cuter? Love his big Easter basket and very impressed with how organized you are! Cute cute cute! I bought Mac some bunny ears and a basket, but I still need some other stuff to put in there. Love your ideas! So cute! Those festive jammies are adorable. What a fun Easter basket! Looks like he loves the basket! Good work Mama! Love those jammies 😀 And the basket…I know my mom has already started eyeing the PB baskets haha. Happy Easter! What an adorable basket! 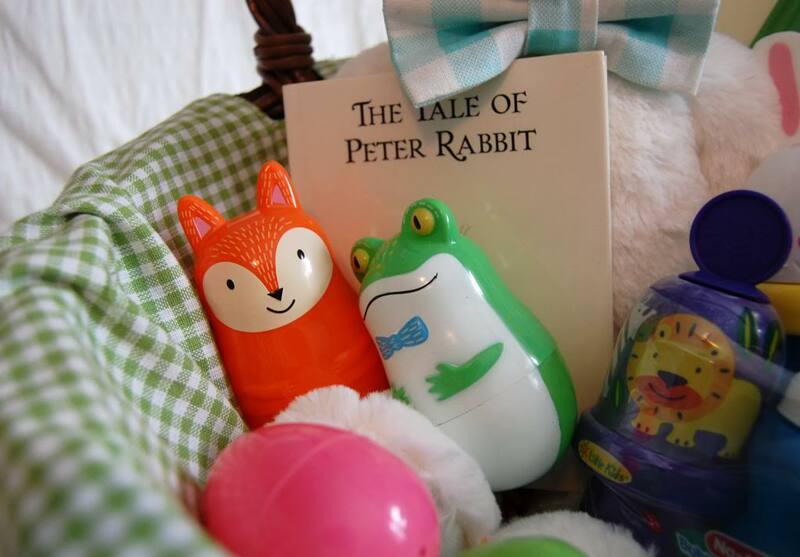 Is that a PBK bunny I spy? My Avery got one last year and she still carries it around everywhere and calls it "bun bun". Precious, glad Hudson loved his sneak peak. I want to squeeze those cheeks!!! So cute. Lucky mom!